January 2nd, 2014 by sromkey | Comments Off on Featured place: Wells, B.C. Friends and colleagues, we have a New Year’s resolution for 2014: to finally finish all of our Featured Place posts for our blog! 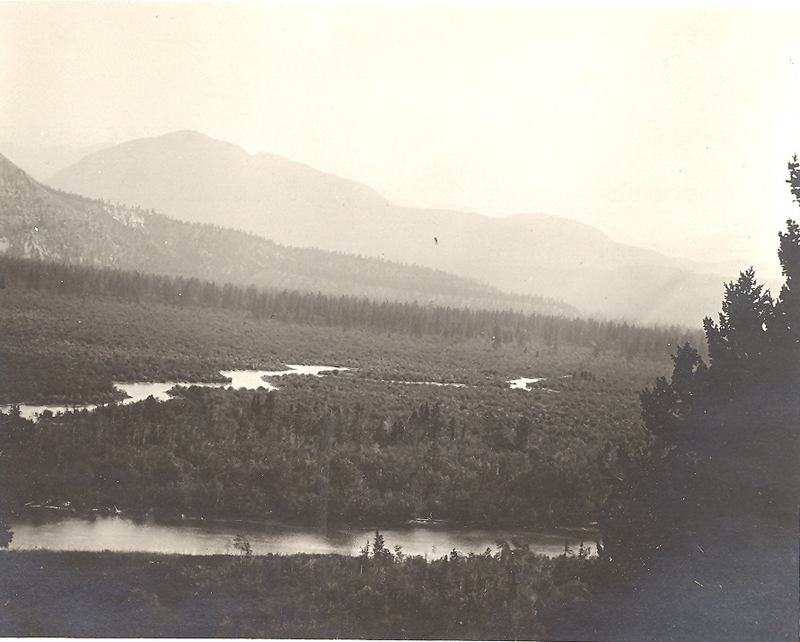 This has been an ongoing feature where we feature items in our collections relating to the places in B.C. that are the namesakes of the rooms in the Irving K. Barber Learning Centre. 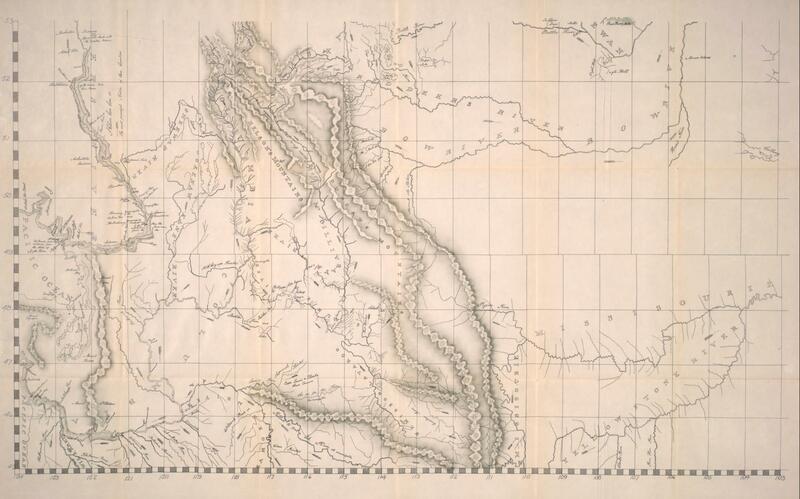 Today we’re going to look for resources to do with Wells B.C. Wells is located in the Cariboo district between Quesnel and Barkerville- much closer to Barkerville though! 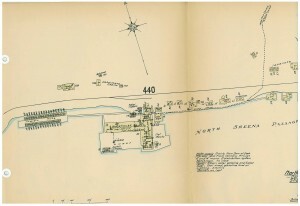 Today it is mostly a tourist town, accommodating visitors on their way to Barkerville, but it was originally founded as a company town for the Cariboo Gold Quartz Mining Company- whose archives we happen to house here in Rare Books and Special Collection. 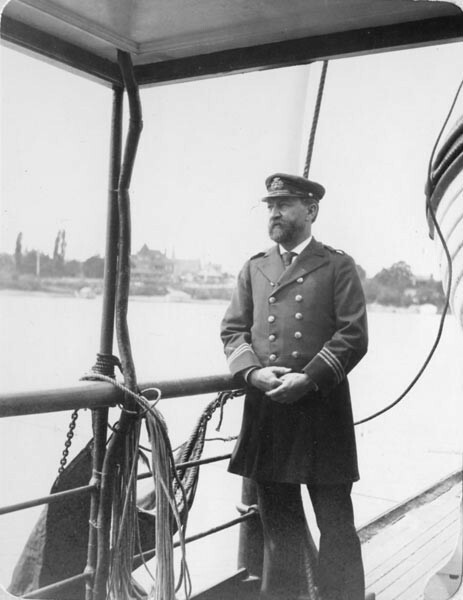 The town of Wells was named after one of the founders of the company, Fred Wells. The town was established in the first year the mine went into production, which was 1933, and the population plummeted when the mine closed in 1967. You can click on the images above to see them much larger. The Wells Classroom is room 461 in the Barber Centre. We’re looking forward to featuring more B.C. places in 2014- we hope you’ll read along with us! Posted in Barber, Collections | Comments Off on Featured place: Wells, B.C. 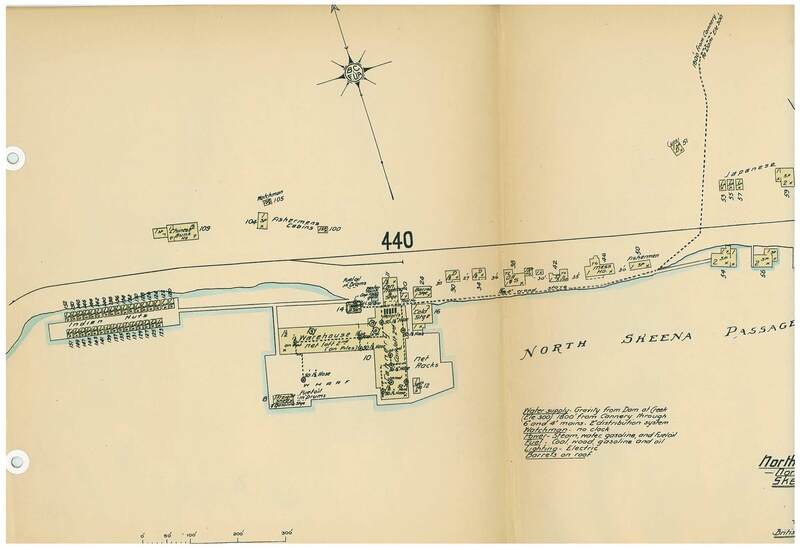 It seems appropriate in our blog series about places in British Columbia used as room names in the Irving K. Barber Learning Centre to address researching the origin of place names. 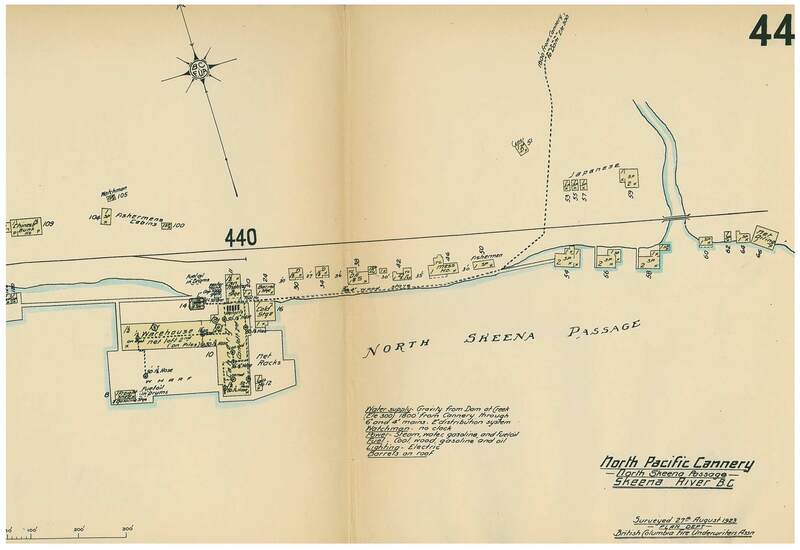 There are a number of sources that are useful for researching place names, and one here at UBC is the Norman Ogg Place Name Collection (see the finding aid here). In 1979-1980, Norman Ogg undertook a study of the origins of place names in Canada (excepting Quebec) and Washington State. 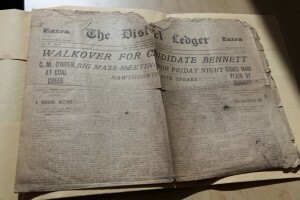 He received many letters from town and city clerks and archivists explaining the origin behind their city’s name, as well as a number of ephemeral items such as brochures. 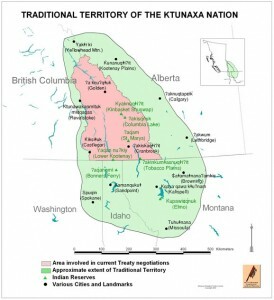 The place we are examining this week is Keremeos. Keremeos is located in the Southern Interior of British Columbia and is in the Similkameen Valley. 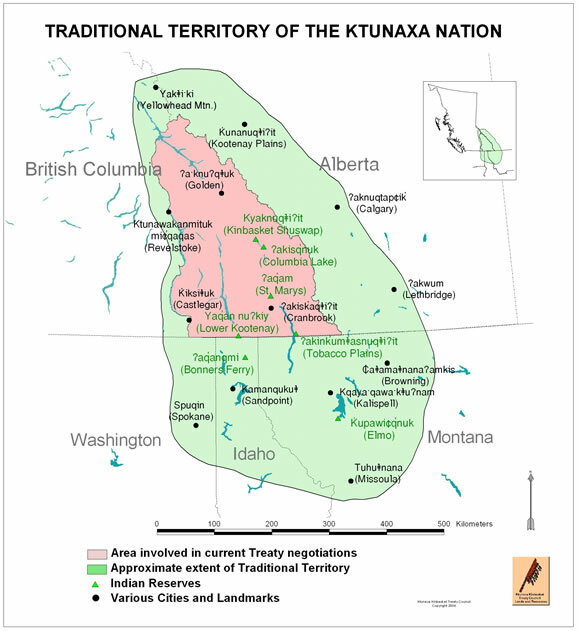 The aboriginal people of this area, the Sylix, are now part of the Okanagan Nation Alliance. Horticulture and agriculture are the main industries in Keremeos, and the area is also home to Cathedral Provincial Park. 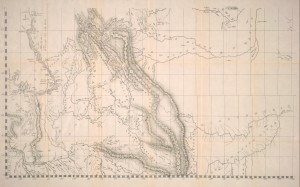 As Norman Ogg learned from the clerk of the Village of Keremeos in 1980, there are two theories behind the name Keremeos: it was believed to be derived from the Aboriginal language of the area to mean either “wind channel in the mountains” or “cut in two by water,” referring to the Similkameen River. 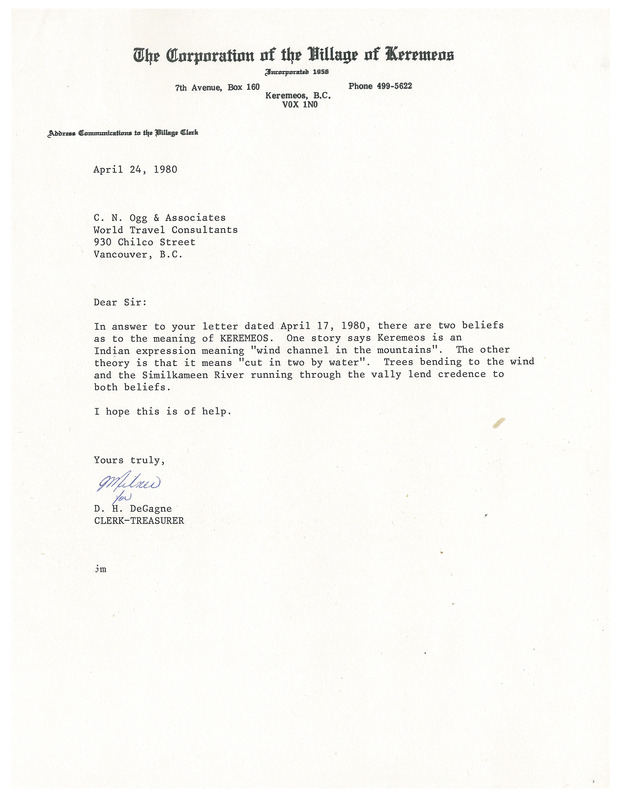 (Click on the image of the letter to see a larger version). 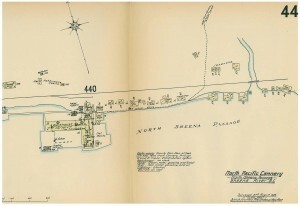 Other sources for place names in British Columbia include BC Geographical Names (a free online resource), The encyclopedia of raincoast place names by Andrew Scott and many other books available at UBC Library which can be browsed by subject in the catalogue. The earliest source for B.C. place names was written by Captain John Walbran, captain of the S.S. Quadra. 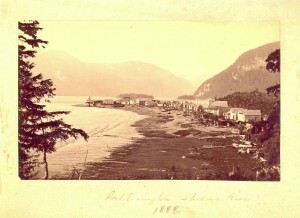 This photograph is from the Chung Collection, which also contains a copy of Walbran’s book British Columbia Coast Names, and one of his chief officer’s logs. As described by the Dictionary of Canadian Biography, Walbran’s Coast Names is “an amazing grab-bag of history, biography, and anecdote,” and a “rich mass of anecdotes and digressions.” It is a well-known and well-used source of British Columbia history. 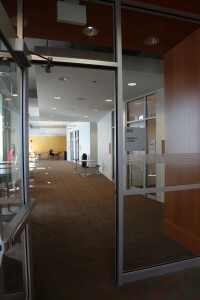 In the Barber Centre, the Keremeos Lounge is on the second floor, adjacent to Ike’s Cafe on the south side of the building. A great place to have a cup of coffee and read up on B.C. place names! This week our featured place, and Irving K. Barber Learning Centre room name, is Hazelton. Hazelton, as well as New Hazelton and South Hazelton, is located near where the Skeena River meets the Bulkley River, northeast of Prince Rupert. The Hazelton area is the traditional land of the Gitxsan and Wet’suwet’en First Nations. 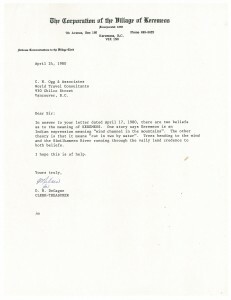 The featured document is from the Social Planning and Research Council (SPARC) of British Columbia fonds. SPARC is a non-partisan organization that was founded in 1966 to “work with communities in building a just and healthy society for all” (from the SPARC website). 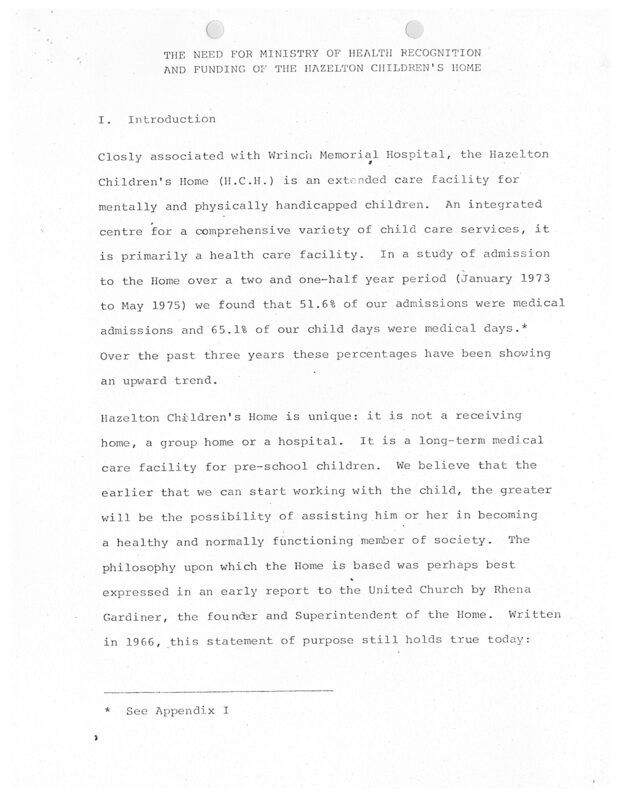 The archives here at RBSC include files from 1966 to 1984 and contain a wealth of information on the history of social issues and programs in B.C., from youth, housing, health, aging, and much more. One such file is on the Hazelton Children’s Home. Founded by the United Church in 1967, the Hazelton Children’s Home appears to have run at least into the 1980′s. 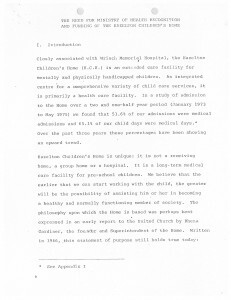 It is described in the file as “an extended care facility for mentally and physically handicapped children.” The files contain a request for funding written to the Skeena Health Unit in 1978. Information about the home is now scarce- the SPARC files as well as files at the Bob Stewart United Church Archives appear to be two of few sources. A finding aid for the SPARC fonds is available, and if you are new to archival research, we recommend our Archival Materials Research Guide. In the Barber Centre, the Hazelton Classroom is on the fourth floor in the south end of the building.